is linked to the cultural history and beauty of Venice. The Northern Lagoon, with its varied landscape, its famous islands like Burano and Torcello, or its more hidden corners, is linked to the cultural history and beauty of Venice. The Tour: Starting from Certosa, passing Le Vignole and San Erasmo to the north. Stops and sightseeing: Convento San Francesco del Deserto, Torcello, Lunch at Torcello or lunch on board, Burano, Lazaretto Nuovo, then return to Certosa. Boat: Chosen by CBV for the particular tour and number of persons. 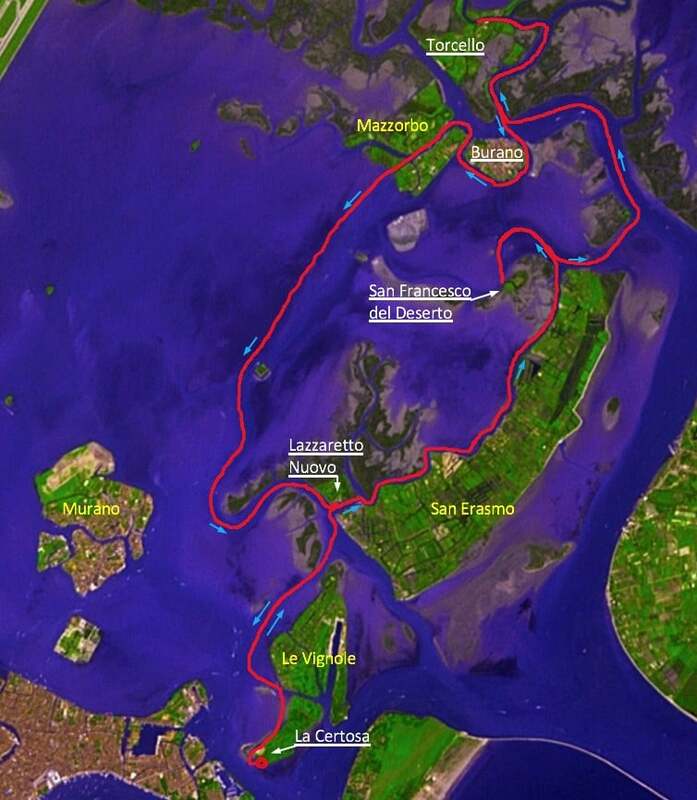 Your tour starts from Certosa, you will then be led passed Le Vignole and Sant’Erasmo (“The Vegetable Garden of Venice”), to reach our first destination, San Francesco del Deserto. this small island is home to a 13th century Franciscan monastery. The monks are happy to show you their retreat. holds a sacred place, far away from our busting modern lives. Situated between Sant’Erasmo and Burano, this small island is home to a 13th century Franciscan monastery. The monks are happy to show you their retreat. Most visitors leave with the strong impression, that this monastery still holds a sacred place, far away from our busting modern lives. the Venetian way of life with its historical garden and its atmosphere. – in accordance to the theme “Culture & History”. Before Venice was even founded, the island of Torcello, our next stop, was already populated back in the 12th century. Among the numerous historical sites, the 12th century basilica is the most important. The House of Modern Art “Casa Museo Andrich” draws the arch into the 20th century, offering a wonderful insight into the Venetian way of life with its historical garden and its atmosphere. After sightseeing, guests have the choice and free time to eat in Torcello or the nearby Mazzorbo. Both offering nice Restaurants, which we can book for you in advance (please let us know as soon as possible) or, if you wish, we may serve a typical Venetian lunch on board your ship – in accordance to the theme “Culture & History”. its history in centuries old production of lace. both high-quality products and lace makers at work. 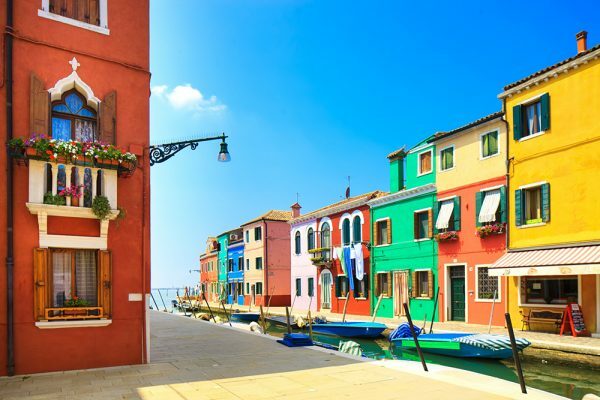 Just a stone’s throw away is the next stop: the neighboring island of Burano, famous for its colorful houses and its history in centuries old production of lace. In Martina Vidal’s studio you will find both high-quality products and lace makers at work. which has become firmly established among the museums in and around Venice. A wide range of activities are held here on the subject of cultural history and archaeology. The return journey to Certosa concludes your day tour. From Burano, the itinerary continues through the canals of the nearby island of Mazzorbo through the lagoon to Lazaretto Nuovo, which has become firmly established among the museums in and around Venice. 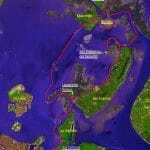 A wide range of activities are held here on the subject of cultural history and archaeology.